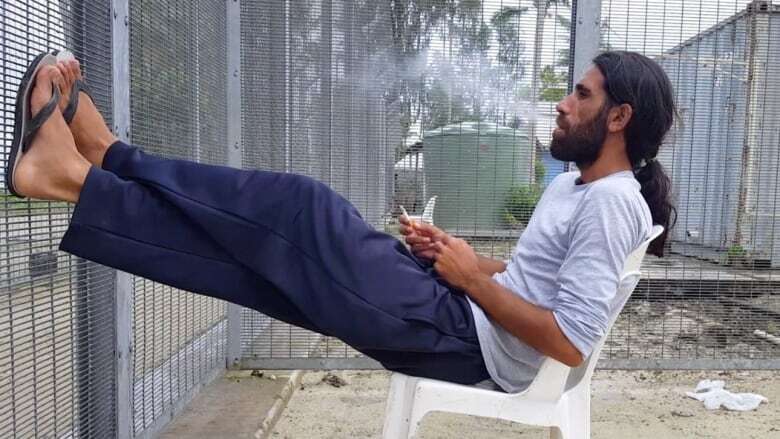 For the past six years, writer Behrouz Boochani has been detained on Manus Island — an Australian detention centre in Papua New Guinea. In that time, the Iranian Kurdish asylum seeker wrote a book, composing it one WhatsApp message at a time to his translator, Omid Tofighian. Last week he was awarded Australia's richest literary prize. We spoke to Tofighian about how the story came about. An asylum seeker has won a lucrative literary prize for a book he tapped out in thousands of WhatsApp messages from inside an Australian detention centre on a remote island. Behrouz Boochani, an Iranian Kurdish refugee, was sent to Manus Island, an offshore detention centre in Papua New Guinea, in 2013. He had been trying to reach Australia after fleeing persecution in Iran. The book, No Friend but the Mountains: Writing From Manus Prison, documents Boochani's overseas voyage to Australia from Iran, his interception by authorities, and the conditions he has lived in on the island. When the detention centre closed in late 2017, the detainees were moved to alternative accommodation on the island. Boochani is still there, and was not allowed to enter Australia to collect the Victorian Prize for Literature, which has a prize fund of almost $95,000. In an acceptance speech delivered over the phone, he spoke about the day he was sent to Manus Island. "An immigration official called me into the office and told me that they were going to exile me to Manus Island, a place in the middle of the Pacific Ocean," he said. "I told them that I am a writer. That same person just laughed at me, and ordered the guards to exile me to Manus." The image of that laughter was burned into his memory, he said, but when he arrived on Manus Island, he created a new one: "a novelist in a remote prison." "This image always helped me uphold my dignity and keep my identity as a human being. In fact, I created this image in opposition to the image created by the system." The Australian government has faced international criticism for detaining asylum seekers who try to reach its shores by boat — even if they are found to be refugees — and keeping them on offshore processing centres on Manus Island and the tiny island of Nauru in Micronesia. More than 3,000 people have been forcibly transferred to the facilities since the policy began in 2013. Over his years in detention, Boochani has written articles — and even made a film — to tell the outside world about life on the island all the while afraid that the guards would find and confiscate his phone. He used the limited internet access in the centre, and also runs an active Twitter account urging for political change. Translator Omid Tofighian noticed an article he wrote for The Guardian and reached out to him online. 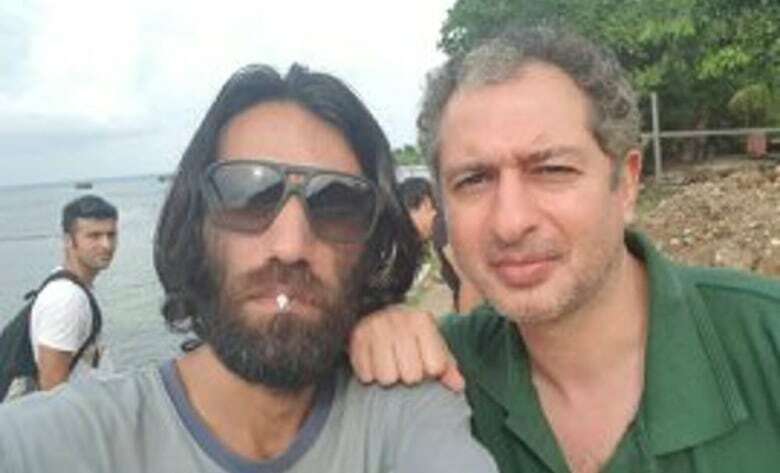 The pair began a collaboration: Boochani wrote his book in WhatsApp messages, and Tofighian translated the messages from Farsi and compiled them into the larger manuscript. Tofighian, a lecturer at the University of Sydney, told The Current that he travelled to Manus Island to meet Boochani in 2017. He found a man unbowed by the "prison structure" he was living in, he said. "He actually uses his storytelling, his creativity, and his philosophical thinking to challenge that and to set himself free in terms of his own well-being, in his own frame of mind." When the award was announced in late January, Tofighian attended the ceremony in Melbourne in Boochani's stead, holding his phone to the microphone so Boochani could speak to the crowd. "After years of struggling against a system that has completely ignored our individual identities, I am happy that we have arrived at this moment," Boochani said. Tofighian said they acknowledge that one book won't change the system, but hopes the book has exposed "a crack" that will encourage co-operation among groups "committed to freedom, and justice and empowering displaced and exiled people. "We're looking at it as a new opening, a new way to do politics and a new way to reorganize and collaborate."